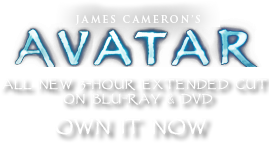 CARB Shotgun | Pandorapedia: The Official Guide to Pandora | Own AVATAR on Blu-ray & DVD Now! Used as a backstop defensive measure and for capacity layering during security missions. This weapon can utilize a wide array of twenty millimeter munitions such as air burst grenades, high-explosive rounds, armor-penetrating rounds, flechette rounds (metal darts), cluster munitions delivery, etc. Weight 5.2 kilograms empty, Six kilograms oaded.